Cinemablographer: Movie Reads for Summer! 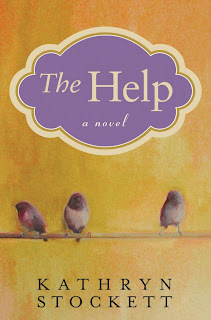 The Help should be first on everyone’s reading list this summer. Not only is the film the first to hit the multiplex (August 10), but Stockett’s novel is an immensely powerful, humorous, and enlightening debut. More impressive is how Stockett’s succinct prose and excellent characterizations make The Help a widely accessible – and deceptively simple – read. The movie for The Help stars Emma Stone as Skeeter Phelan, a social misfit in her Bible Belt hometown of Jackson, Mississippi, who undertakes a secret project when her ultra-conservative friend (Bryce Dallas Howard) starts an initiative encouraging Jackson families to create separate washrooms for their African-American help. 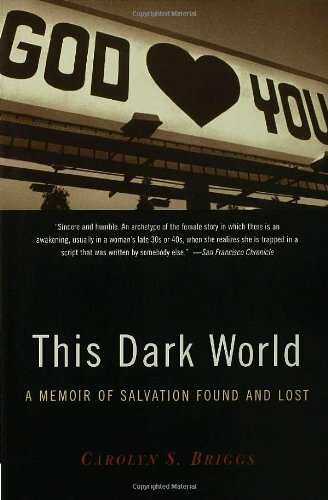 Skeeter’s project is to write a story from the perspective of the help, and she begins by enlisting her friend’s maid Aibileen (played by Viola Davis) and Hilly’s sass-mouthed nemesis Milly (Octavia Spencer, who receives special mention from Stockett in her acknowledgments in the novel). Stockett’s inspiring tale of civil progress deserves comparison to Alice Walker’s The Color Purple and hopefully The Help will be just as strong (but not as controversial) as Steven Spielberg’s adaptation of Walker’s novel. 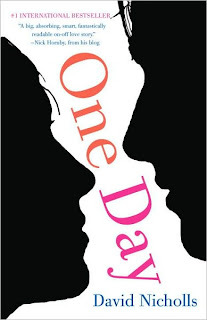 Unfairly dubbed a “beach read” by many reviewers for its hip, feel-good, rom-com-ness, One Day is a refreshing story of true love. This story of Dexter and Emma (played by Jim Sturgess and Anne Hathaway in the film), begins on the first day of their relationship – a one night affair that changed their friendship forever. Each chapter revisits that same day each subsequent year for the next two decades as the lives of Dex and Em take unexpected turns and their relationship undergoes surprising pushes and pulls. Despite the formal gimmick of One Day, David Nicholls tells his love story with uncontrived feeling and invigorating Nick Hornby-ish warmth. It’s a story well suited to the style of Lone Scherfig, who did an excellent job in realizing Hornby’s own adaptation of Lynn Barber’s memoir An Education. Will lightning strike twice? Read the book and see One Day when it opens August 19th. A few years ago, I picked up Smiley’s People, the fourth novel featuring le Carré’s spy George Smiley. I liked it, but I felt like I missed something. I presumably did, since it was the fifth entry in the Smiley series, excluding the other le Carré novels in which Smiley appears as a minor character. Tinker, Tailor, Soldier, Spy isn’t the first novel featuring Smiley either (that’s Call for the Dead), but it is the first entry in le Carré’s “Karla Trilogy,” in which Smiley figures prominently. 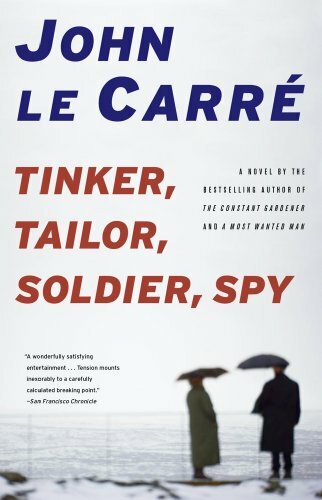 le Carré supposedly revised Smiley’s backstory for Tinker anyways, so anyone who hasn’t read the earlier works will probably fare adequately. 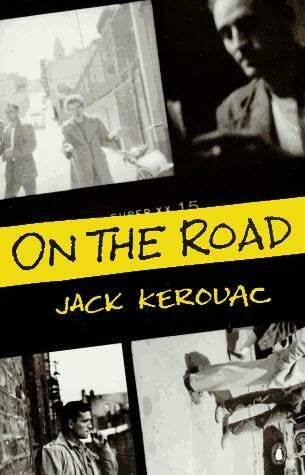 This one is pretty high up on my reading list, as it’s one of Shakespeare's plays that I haven’t read. It’s also one of the Bard's plays that is performed and discussed less frequently than his others are, so the film sounds like a welcome entry in cinemascape polluted with sub-par interpretations of Hamlet and Romeo and Juliet. (IMDB lists three upcoming adaptations of both of these plays …including one with Eddie Murphy!) 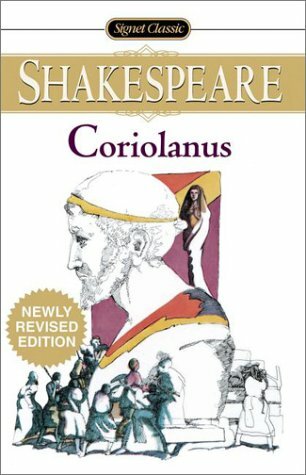 Like Hamlet and Romeo and Juliet, Coriolanus is one of Shakespeare’s tragedies. This play centres on a Roman war hero makes a successful bid for the Senate, only to be faced with a coup and exiled. 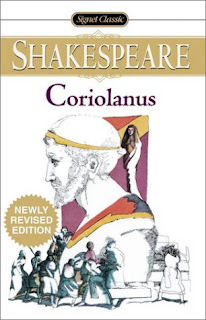 Coriolanus sounds like a grand showcase for good drama. 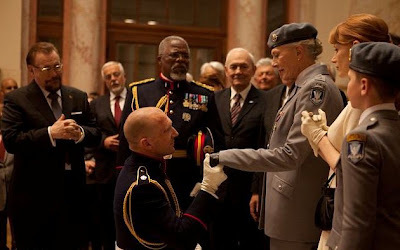 It seems like that’s what we’ll get too, as the film stars Ralph Fiennes in the title role. 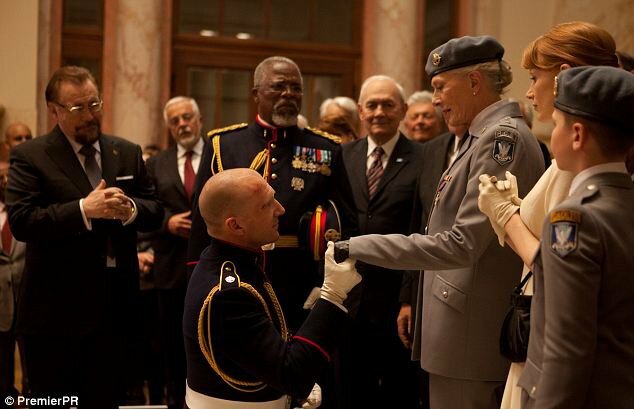 Fiennes also makes his directorial debut with Coriolanus, and word from this year’s Berlin Film Festival says that it’s a good one, with many critics citing Fiennes’s present-day setting of the film to be quite effective. The hottest buzz on the film, however, is that Vanessa Redgrave offers an award-calibre performance as Coriolanus’s mother, Volumnia. Hopefully her strong supporting turn in The Whistleblower will give her an extra push. Rounding out the Shakespearian troupe are Gerard Butler, Brian Cox, Jessica Chastain (who also appears in The Help) and Lubna Azabal (Incendies). Opens December 2nd. Speaking of actors turned directors, one of my favourite actresses, Vera Farmiga, makes her directorial debut with Higher Ground. Adapted from the memoir This Dark World by Carolyn Briggs, Higher Ground is a journey of self-discovery for Corinne (Farmiga) a born-again Christian. As Corinne’s love for her family and her god are put to the test, the book and the film examine the co-dependency of faith and doubt. 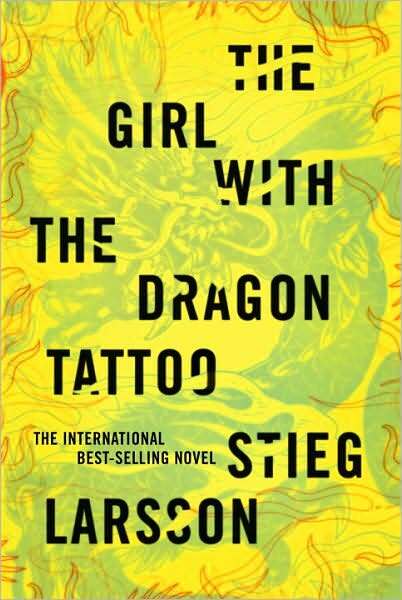 Reading Briggs’s account beforehand would be worthwhile, for not only will it provide some chicken soup for the soul during the summer months, but it will also add some extra insight into Farmiga’s directorial vision. The talented actress has worked with some of the best directors in the business – Martin Scorsese (The Departed), Jonathan Demme (The Manchurian Candidate) – as well as fresh talents like Debra Granik (Down to the Bone) and Jason Reitman (Up in the Air) so perhaps she’s been a keen observer of behind-the-camera action whilst soliciting solid work in front of it. Early word from Sundance is that Farmiga’s debut is strong, with some saying the actress has found a higher calling. Higher Ground opens in limited release August 26th. It’s been seven years since Alexander Payne made Sideways, so his latest film, The Descendants, is an surely one of the biggest indie-movie events of the year. Payne is no stranger to film adaptations, as his most recent films – Sideways, About Schmidt, and Election – are all based on literary works. His latest dramedy centres on a wealthy man who takes his two daughters to Hawaii as a brief respite while their mother remains on life support. The unexpected surprise on the trip, however, is the discovery of his wife’s infidelity. The Descendants stars George Clooney and it opens Decemeber 16th, just in time for Oscar season. I read We Need to Talk About Kevin last summer, and I can honestly say that it just about knocked the wind out of me. Schiver’s book is a harrowing story of a mother, Eva, struggling to reconcile her culpability after her son commits a school shooting. 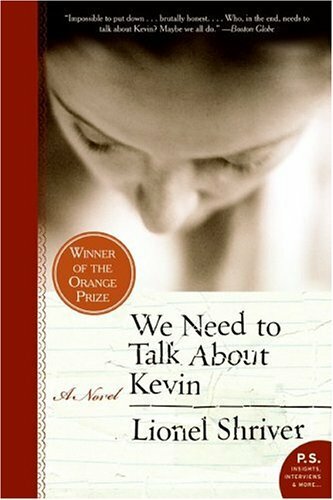 Kevin is a dark and complex epistolary novel told from Eva’s perspective as she writes to her husband Franklin and examines how their relationship might have influenced their son’s behaviour. Schriver’s reflection on motherhood is truly devastating and buzz from this year’s Cannes film festival says that Tilda Swinton is equally shattering in her performance as Eva. I’ll say little more about the film other than that the early clips hint that director/co-writer Lynne Ramsay looks to have nailed it. 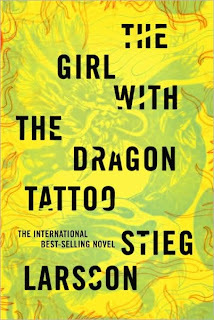 This might be my most anticipated film of the year: if there’s one book to add to a reading list this summer, this is it!